Nature Forever Society is a conservation organisation that has been working for the conservation of house sparrows for the past four years, as well as the common birds of India and their habitats. To involve the common man in the conservation movement, we initiated adoptions of nest boxes and feeders which has been very successful in India. People from across the country have helped us by adopting our nest boxes and feeders. The website aims to create awareness for conservation of our common birds and help people in conserving our common birds which are a vital part of the ecosystem, The site will also help people adopt nest boxes and feeders for various common birds and help them create bird-friendly habitats. Nature Forever Society works with NGOs, Government Institutions and various Educational Institutions for creating awareness on various issues connected to your environment and conservation. Our aim is to create wildlife friendly habitats and involve the COMMON MAN in the conservation movement to save India's rich biodiversity. 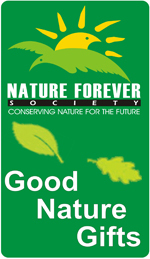 Nature Forever Society does not have support or long-term funding from any organisation or agency. It depends entirely on the support of Nature Forever Society's Sparrow Supporters who adopt nest boxes and bird feeders from the Nature Forever Society's 'Adopt nest boxes and bird feeder Scheme'. The profit from this goes back to the conservation initiatives by the Nature Forever Society in India and across the world. This also gives us the freedom to work on issues which have a functional conservation value and we do not have to depend upon the mission, mandate or fancies of funding agencies. The 'Adopt-nest-boxes and bird-feeder Scheme' has a primary goal of creation of habitats for birds and wildlife which are rapidly dwindling and get the citizens' involvement in the cause of conservation by habitat creation in human and natural habitats. Gift a Nestbox or a Birdfeeder next time when you are confused, while choosing a gift for your loved ones or want to encourage your friends and relatives to care for the birds in their gardens or homes, then nest boxes and feeders will make ideal gifts. Whatever type of garden, whether an acre of woodland or just a simple balcony, everyone can enjoy the pleasures of bird feeding and do their bit for conservation. If you order these items as gifts, remember that we send the recipient an attractive gift card with your message at no extra cost. Simply write your chosen message and send it to us or call to place an order. Your gift could help find a perfect home to house sparrows and other birds. Just the home to start a family of fluffy babies, safe from predators. And, there is no house tax on it. We assure you a secure shopping experience on our Online Store. All information entered by you on these pages will be kept strictly in confidence and will not be sold for commercial gains. Our payment partners and shipping partners ensure a safe and comfortable shopping experience for you.